Foundation „To Protect the Good” organizes various workshops for adults and children. It is possible to organize some workshops in various languages. In medieval scriptorium – workshop concerning secrets of work of a medieval scribe and illuminator. Participants will have an opportunity to get to know the role and character of the scriptorium and the successive stages of manuscripts creating. Calligraphy – follow-up of the workshop “In medieval scriptorium”. Participants focus on practical aspects of scribe’s work. Participators get to know different types of medieval scripture. 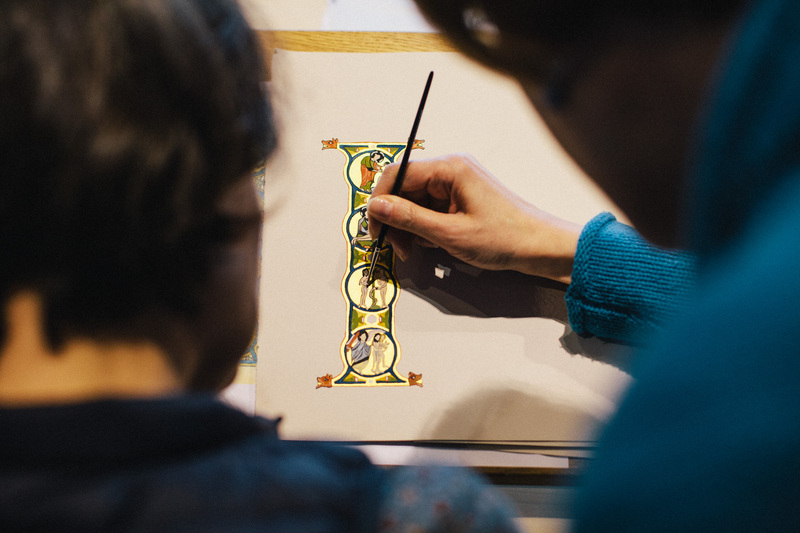 Illumination – workshop concerning medieval illuminations. During workshop participants create book-miniatures. Duration of the workshop and price are set individually with the group. These workshops can be organized in English and French. The workshop is an introduction to the issues of Gregorian chant. Participants focus on practical exercises. These exercises are accompanied by historical and liturgical commentary. Price of the workshop depends on its duration and on the number of people.